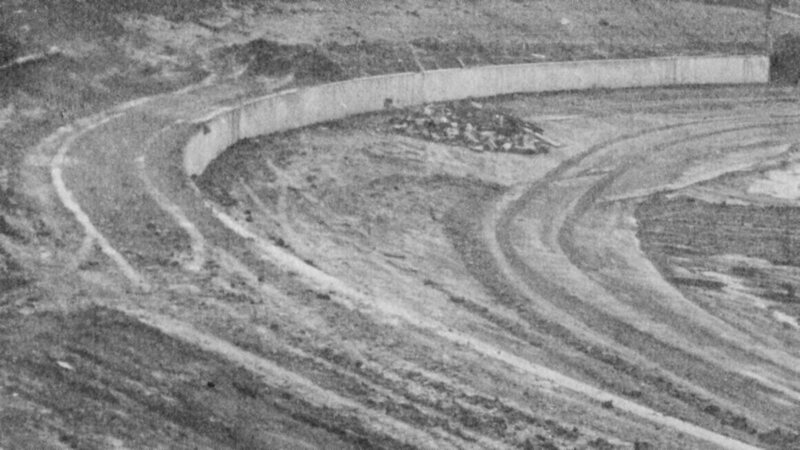 The track known as the Old Archerfield Speedway was a track raced on prior to the construction of the new track in 1979, The old track was located in what is the pit area of the current track, and the pits were where the current track is. 1960's - Photo: Tony Woods. 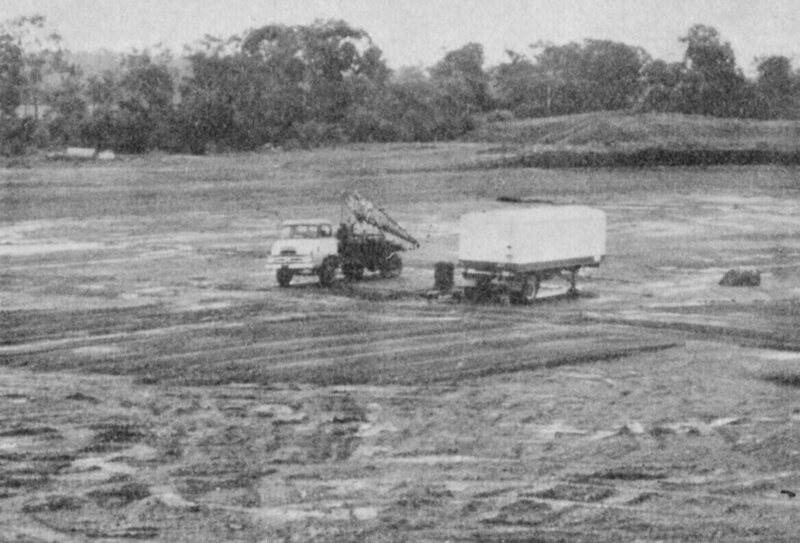 1965 > 1966 - Bill Goode preparing for his next race at the old Archerfield Track. Photo: Gordon Hogarth. 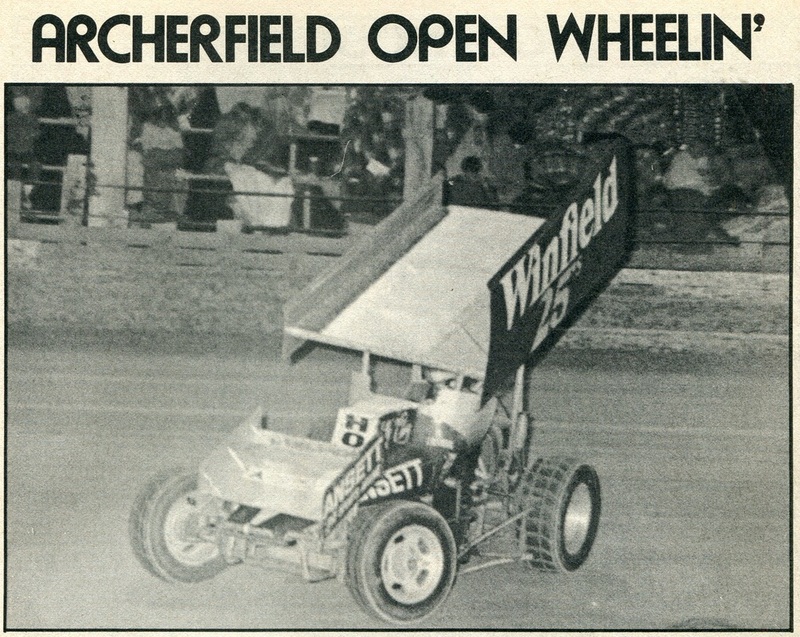 Archerfield Speedway opened its gates in 1979. 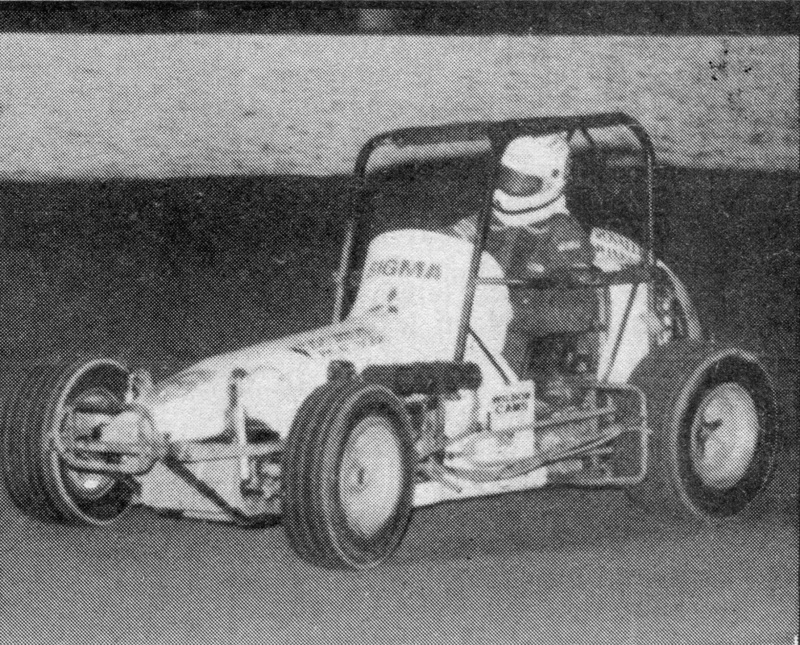 Pilgrim Takes 1984 World Speedcar Derby in Queensland Geoff Pilgrim returned to the scene of his 1983 Speedcar Championship win to whip a World Class field in the 1984 World Speedcar Derby. 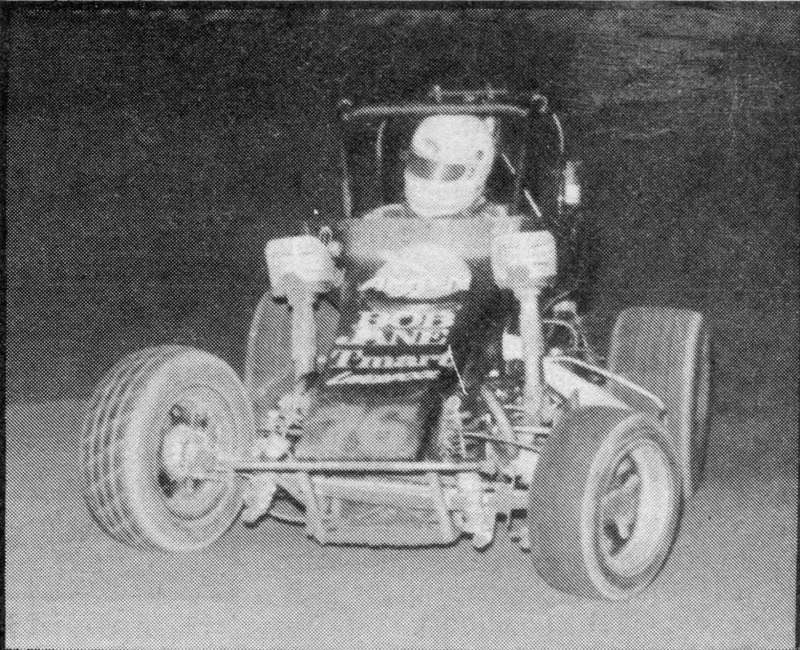 On the same track where he won his 1983 Australian Speedcar Title, Geoff Pilgrim took out the 1984 World Speedcar Derby. 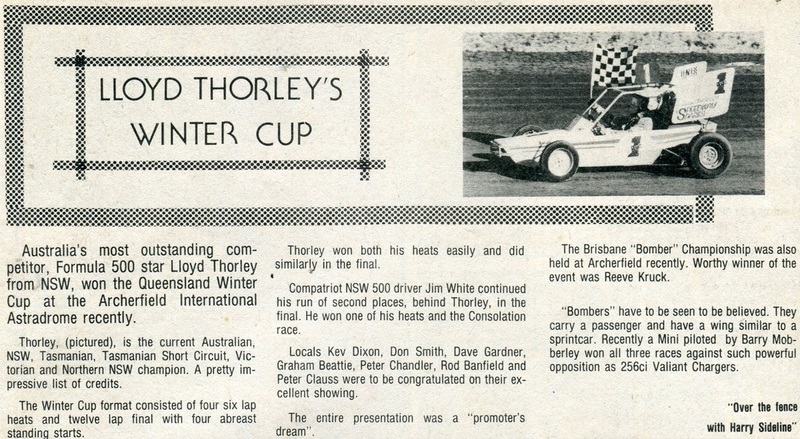 The Archerfield track saw Pilgrim repeat his Championship winning drive with what was a marvelous display of racing. As the green flag dropped, twenty top Speedcar drivers raced into turn one all jostling to get the best position. Col McMahon was leading as they raced out of turn one and two. 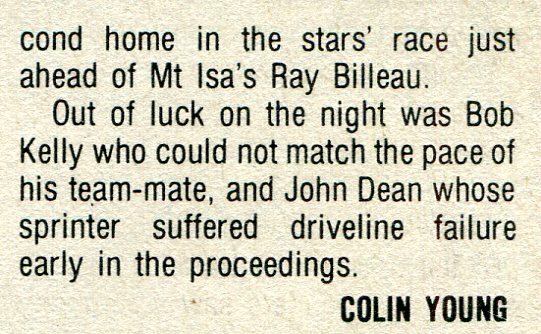 His lead didn’t last long however as Geoff Pilgrim and Eric Mitchell relegated the Northerner to third. 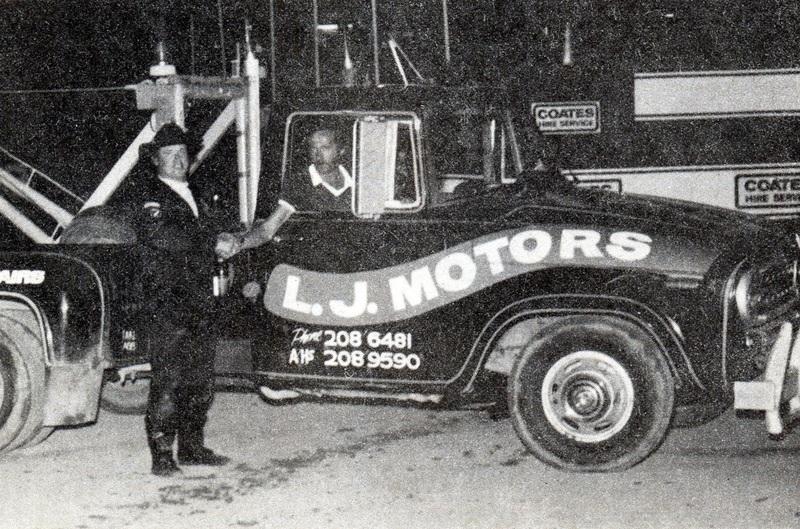 The red lights came on as Stan Burrow pulled up in turn one leaving Paul Lindberg nowhere to go but into him. From the restart Eric Mitchell led away, but Pilgrim rocketed past and started to put some air between himself and the rest of the field. 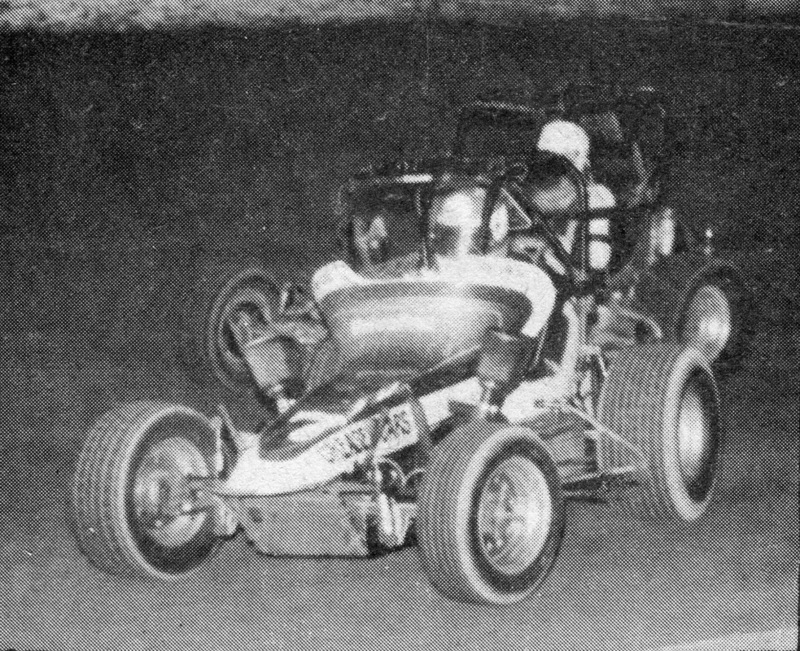 On lap ten the red lights were back on as Gordon Clough stalled in turn two. At the restart Sleepy Tripp was up to second and set about catching the flying West Aussie. 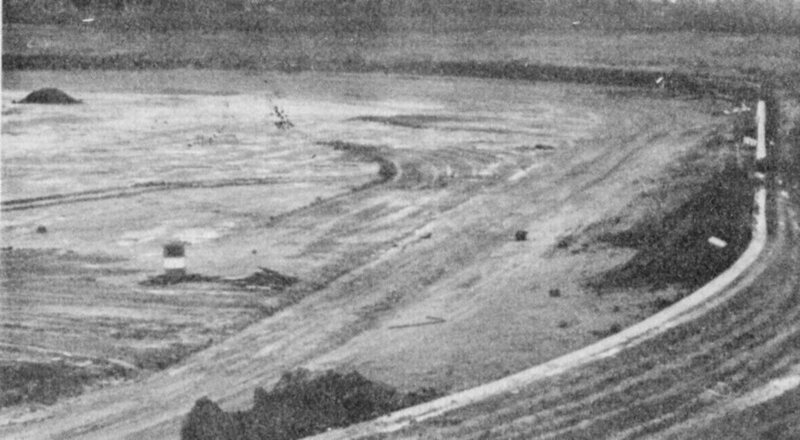 The reds were back on again on lap eighteen when Graham Osborne decided to look at the track from a different angle by going end over end in turn four. 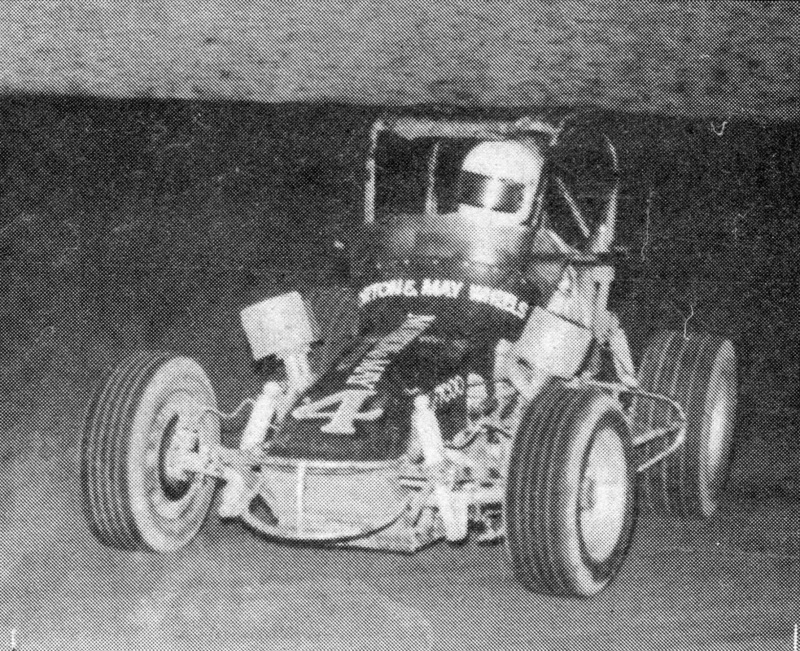 Pilgrim once again led away as Barry Wixted raced past Sleepy Tripp into second, which got the crowd roaring madly. The crowd really went mad when Sleepy Tripp retired his VW with mechanical failure, giving Pilgrim a big advantage over Wixted. Wixted was dropping further back through the field lap by lap as Pilgrim’s lead was now extended to half a lap. 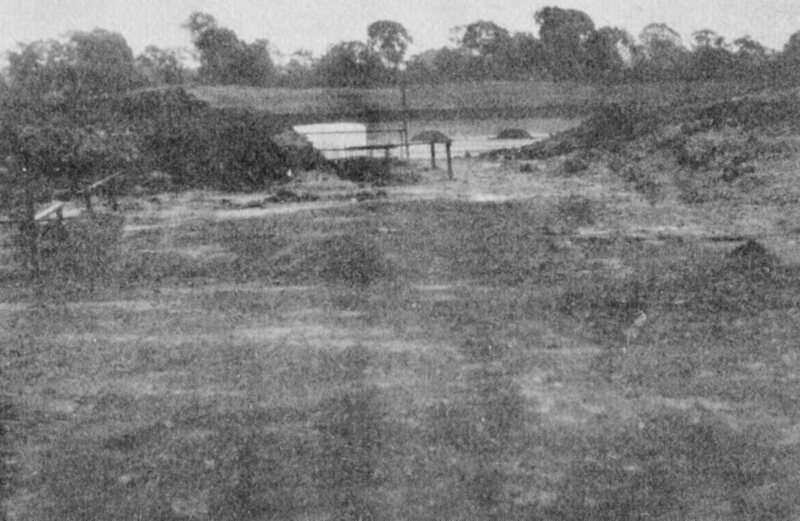 American, Johnny Pearson had made his way through the field and was now sitting in second ahead of Peter Clough and Barry Wixted. Pilgrim was now unopposed as he won the 1984 World Derby. The Queensland crowd really showed their appreciation by giving him a tremendous ovation as he crossed the line to break his recent losing streak. John Pearson followed his good showing in the time trials up with a good second. 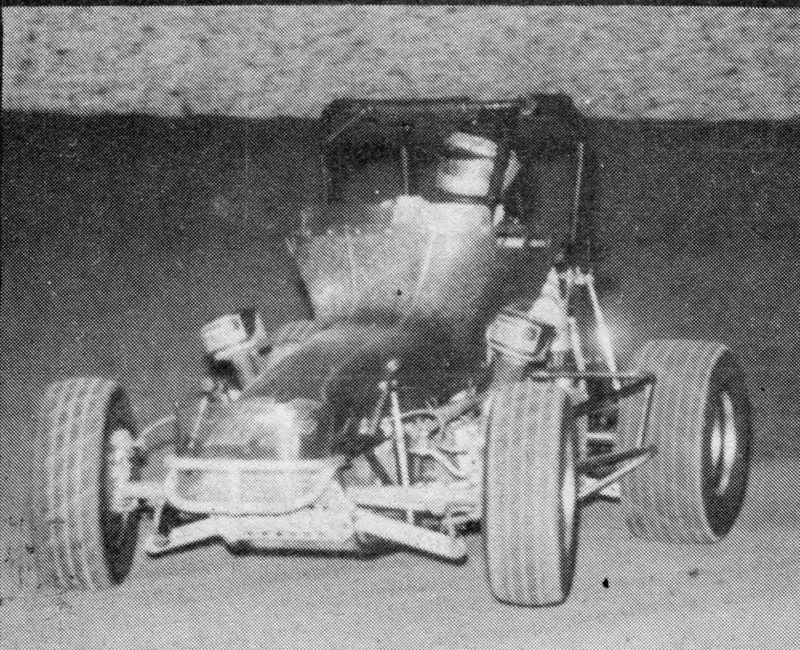 Peter Clough pushed his Offenhauser to its extreme limits to grab third. Barry Wixted, after pressuring Geoff Pilgrim early on could only manage fourth. Geoff Pilgrim tonight showed us the true champion that he is and I would like to see him back in Brisbane soon because the two major events he has entered here, he has won (1983 Australian Championship, and 1984 World Derby). Good luck in the future Geoff.